John Bellany was one of the most acclaimed and prolific artists of his generation. Developing his powerful and unique mode of figuration at a time when abstraction was the favoured style within painting, Bellany combined elements of Expressionism, Surrealism and religious symbolism. 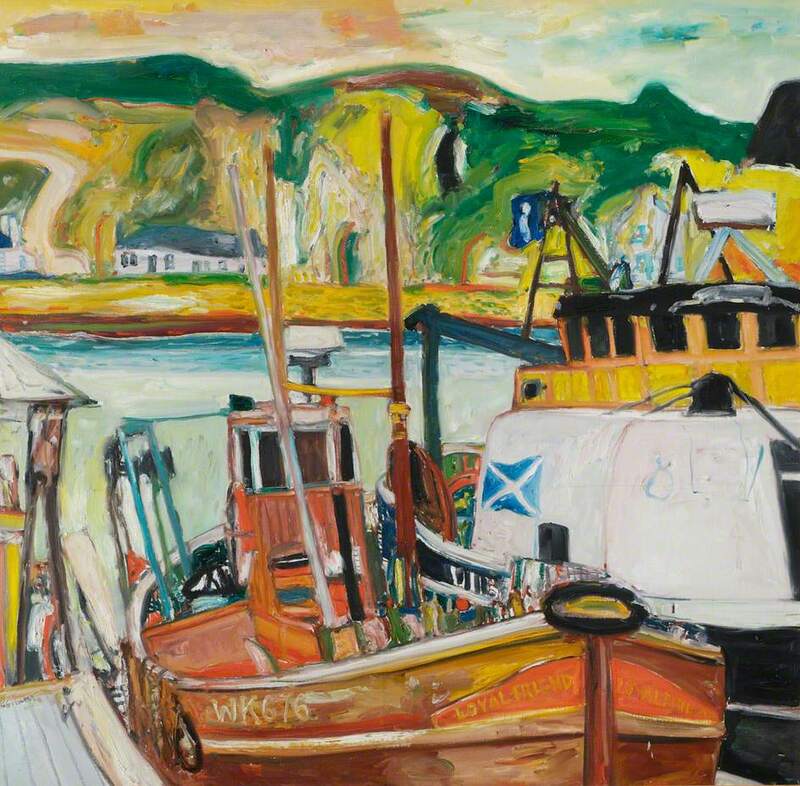 Born and raised in a fishing village near Edinburgh, childhood experiences of gutting fish, the sea and coastal life echo throughout his work, transformed into a personal mythology. Characters wearing fish skins and heads and an array of hybrid human and animal forms populate these paintings. Often allegorical in nature, his paintings took influence from his deep-seated Calvinist upbringing and also from the closed, archaic marine communities, replete with superstition. His vigorous – and at times violent – brushwork portrayed these scenes with a sense of menace, compounding this vague unease with fragments of personal narrative. Bellany struggled with alcoholism and depression and in 1988 underwent a liver transplant. Doctor’s noted his remarkably fast recovery; he continued to make work and never slowed his industrious output. Despite numerous personal setbacks and tragedies, John Bellany continued to portray, with both focus and compassion, the frailty and strength of the human condition – the power of emotion.